This antique Chinese dragon phoenix, yin & yang silk embroidered fabric square badge dates from the early 1900s. 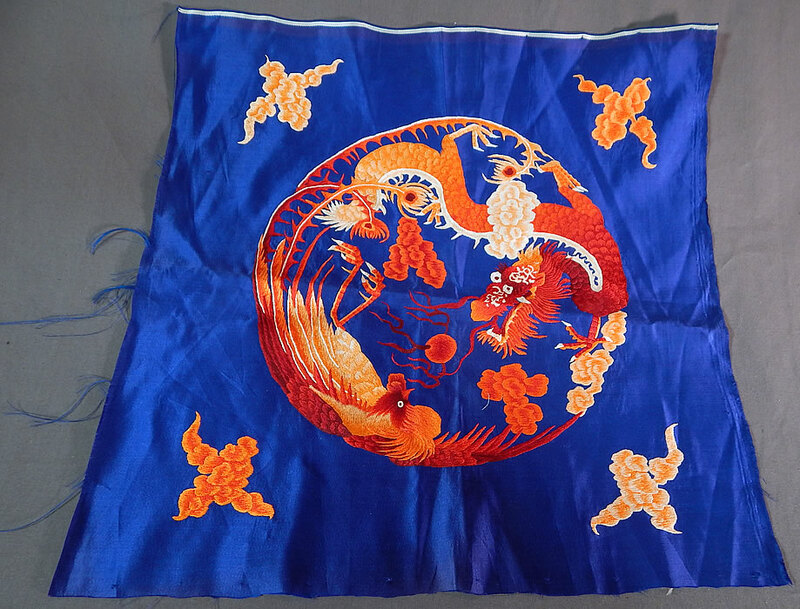 It is made of a bright royal blue silk fabric, with varying shades of ombre orange to red silk raised padded satin stitch hand embroidery work. 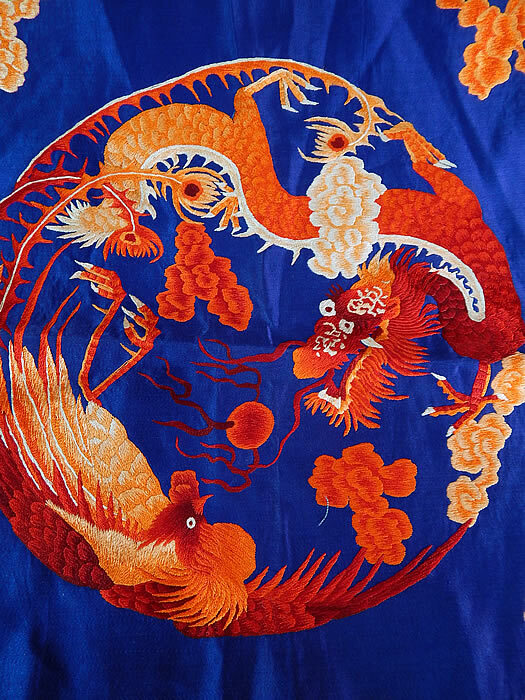 There is a dragon and phoenix bird in the center roundel medallion which when placed together, but turned away are a symbol of eternity, yin and the yang and smoke clouds embroidered in the corners. 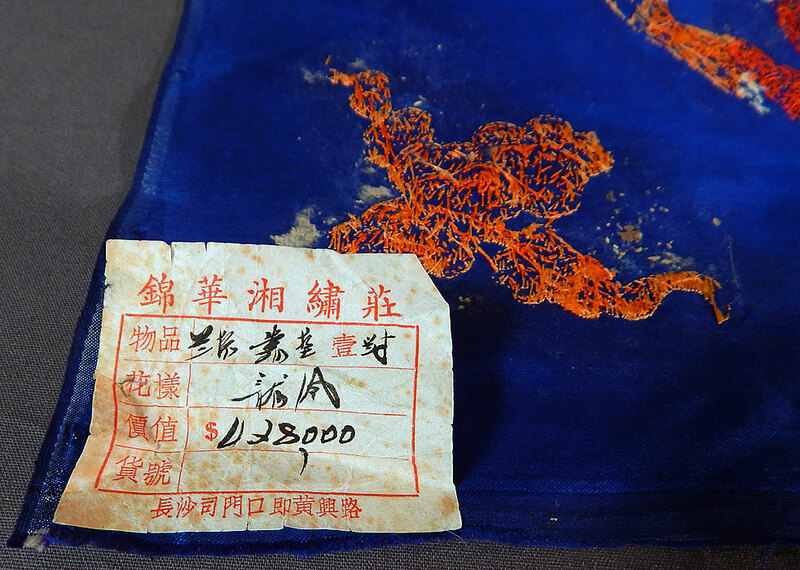 This exquisitely embroidered square badge tapestry textile has the original paper label on the back, with black inked Chinese calligraphy characters. The square measures 18 by 18 inches. It is in good condition, with only some fraying along the edging. 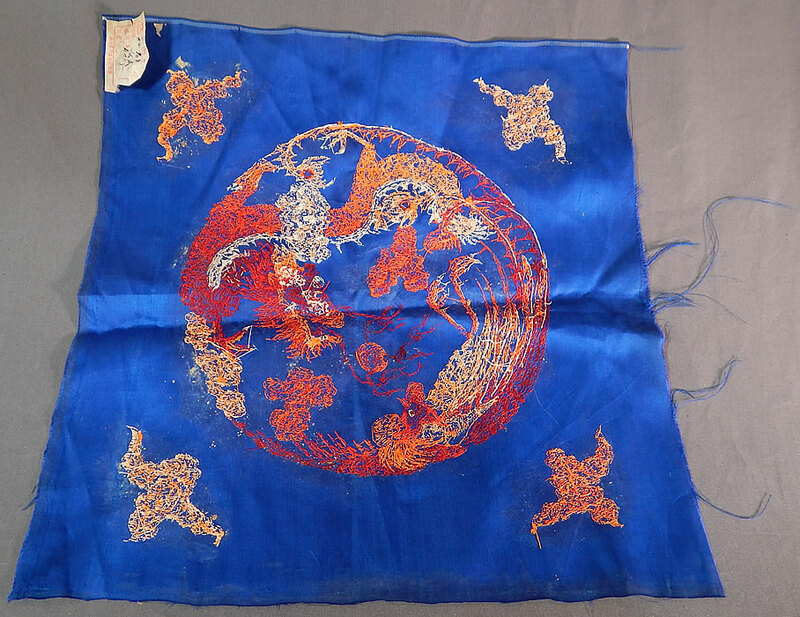 This is truly a beautiful piece of antique Chinese textile embroidery art.